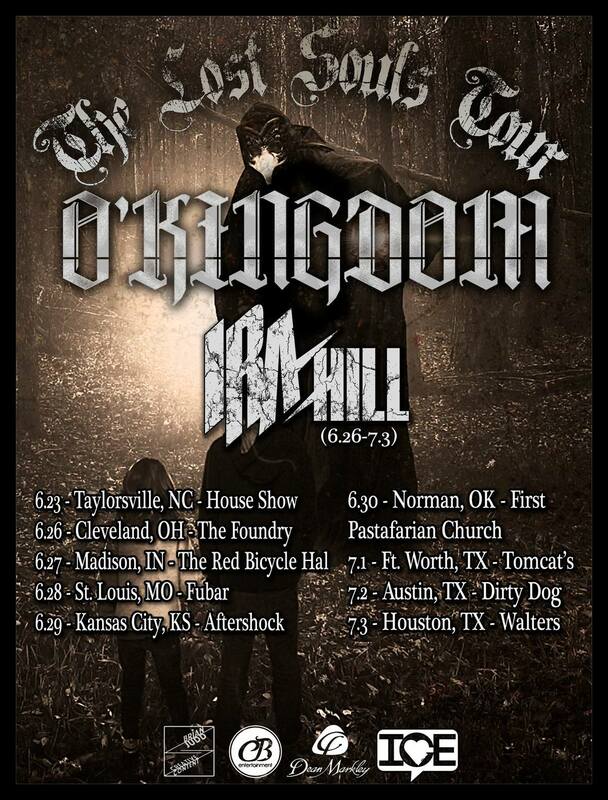 Akron, Ohio based Metal band Ira Hill have announced that they will be supporting O’Kingdom on “The Lost Souls Tour“. This will be the 4th national tour in the last year for Ira Hill and their second visit to Texas since SXSW in March of 2016. The band is touring in support of their Just Keep Swimming EP which is available now on iTunes. O’Kingdom will be releasing “Anthem For The Lost” on June 22nd recorded at Random Awesome Studios with Josh Schroeder (King 810, The Color Morale, In Hearts Wake, The Plot In You). The band recently released a music video shot by Jeremy Tremp (Luke Holland, The Word Alive, Slaves) for their single “Bloodline“. Blending melodies with aggression, motivation with passion, and energy with volume, Ira Hill has been crushing metal scenes across the nation and leaving some paint along the way since June 2013. The band has been seen at Vans Warped Tour, iMatter Festival, SXSW, SNOWED IN Festival, Dirt Fest, and on tours with The Bunny The Bear, The Convalescence, and Open Your Eyes. Ira Hill also has a fan-base growing overseas that they established with the release of their EP “Just Keep Swimming,” and single,”Shame” (2015). The band is known for their energetic, colorful, (and sometimes messy) live performances and notorious on-stage beer bongs. This April the band was chosen as one of Alternative Press’s “12 Bands You Need To Know About“. Expect a new music video for the band in mid-Summer as well as a some brand new music!